Who is on the Street Tweaks team? 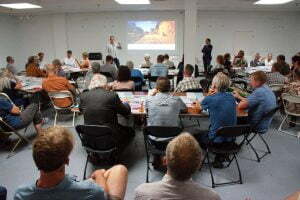 Asheville Street Tweaks is a collaborative effort led by Asheville on Bikes, the Blue Ridge Bicycle Club, the AARP, North Carolina, Mountain Region. Two other local organizations, Strive Not To Drive and Open Streets, also joined in to sponsor an open streets-style party on Sunday afternoon, to showcase the project. As a group we are focused on making public spaces more accessible, safe, and functional for all users. This is a big goal, but we can achieve it effectively and efficiently with the input and help of the community. What does the Asheville Street Tweaks Team do? We design and build improvements using tactical urbanism: smaller-scale, community driven efforts as opposed to large-scale, top-down projects. We make incremental, cheaper changes to identify what really benefits street users, before the city invests huge amounts of time, tax dollars, and people-power in redesign. Tactical urbanism removes much of what city officials fear when facing these projects—high costs, lengthy disruptions, and risk the work won’t pay off—and allows positive changes to happen quickly with little risk. Tactical urbanism works because the entire process is community-driven and empowers community members to re-envision and rebuild their infrastructure in a way that serves them. Click here to download the design pdf! That pdf is the proposed design as approved by the City of Asheville and Asheville City Council. The ideas reflected in the design came about through two rounds of public meetings and various outreach efforts within our community. The Coxe Avenue redesign is our inaugural tactical urbanism project. 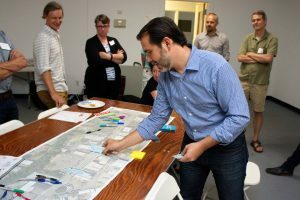 The Asheville Street Tweaks Team is working with Street Plans Co-Founder and tactical urbanism expert Tony Garcia, as well as members of our community, to implement multiple improvements along Coxe Ave., between Hilliard Ave. and Southside. 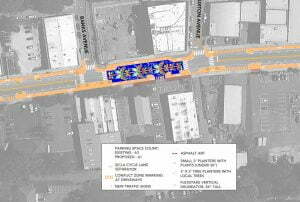 The City of Asheville plans to redesign this corridor in the near future, and the street tweaks we make will directly inform what permanent changes are made. 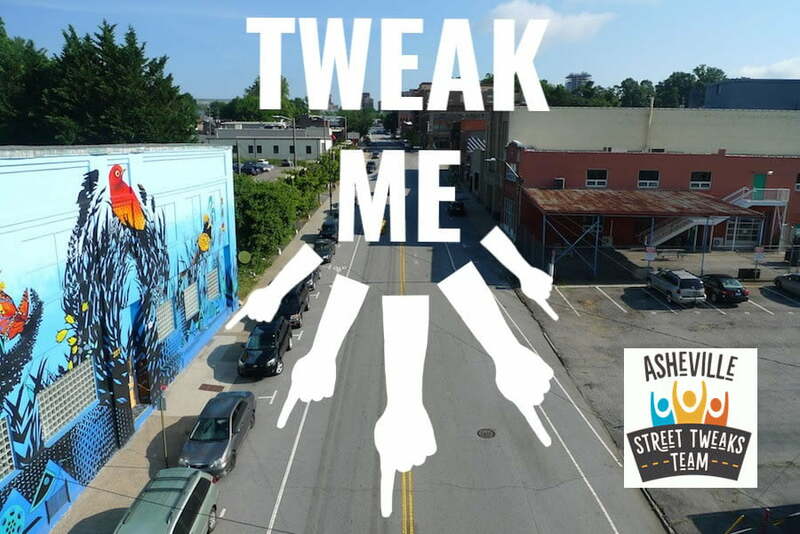 Help Asheville Street Tweaks make better streets. Donate today. This is our loving ask: give us your money so we can put it to work changing Asheville forever. Your financial support is vital and our tactical urbanism projects are big ticket items for our non-profit. Giving to Asheville on Bikes is something you should do if you like causing change – we are taking real action right now to improve Asheville’s public spaces. Together we can build the streets that you and your neighbors feel safe and happy using.